Having a double eyelid or eyelid fold is highly sought after in the Asian community. Dr. Ben Talei, a dual board certified facial plastic surgeon at the Beverly Hills Center for Plastic & Laser Surgery, offers Asian patients this very popular, state-of-the-art Asian crease surgery or Asian blepharoplasty as part of our eye and brow lift services. Since many within the Asian population do not have a visible fold or crease, Asian eyelid surgery is a great option to help enhance the eyes by making them appear more open and less tired. Asian blepharoplasty or Asian eyelid surgery is a surgical procedure where Dr. Talei gives patients a visible fold or crease in their upper eyelid. Because each person is different, Dr. Talei plans each procedure based on the specific needs of each individual. He does not perform cookie-cutter procedures. As it relates to Asian eyelid procedures, several things must be taken into consideration, including a person’s anatomy and the amount of skin. During the consultation process, Dr. Talei can determine whether a patient is a candidate for an incisional or non-incisional approach. He will design the best procedure for their specific goals. Dr. Talei has an artistic eye and delicate hand in surgery, providing a winning combination for eyelid surgery with the most natural results. 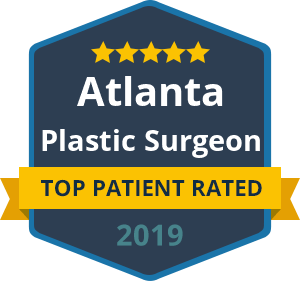 With dual fellowship training in facial cosmetic and reconstructive surgery and vascular birthmarks and congenital anomalies with laser surgery, Dr. Talei is the industry-leading physician for this specialized surgery. Traditional eyelid surgery is commonly coupled with dermal and facial fillers, laser skin resurfacing, brow lifts and facelifts. These can also work in partnership with Asian eyelid surgery. Together, these procedures can work to provide patients with an overall rejuvenated and more youthful appearance. Contact our Asian eyelid surgery specialists today at the Beverly Hills Center for Plastic & Cosmetic Surgery to schedule a consultation.